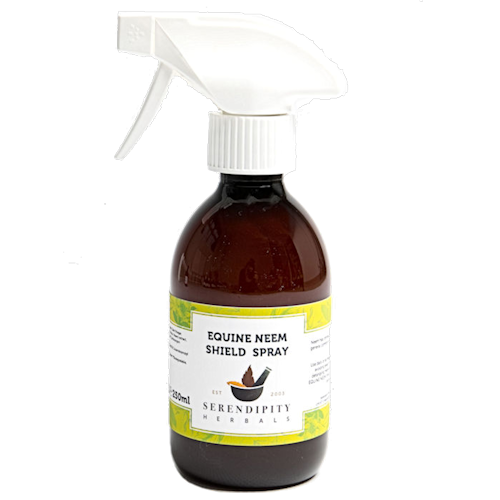 This powerful natural formula harnesses the intrinsic properties of neem to improve the coat condition and general comfort of your horse. Apply a light spray mist daily, or as needed. Best used in conjunction with EQUINE NEEM SHIELD SHAMPOO. 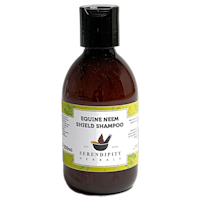 Sore or irritated areas may also benefit from the application of NEEM SHIELD CREAM or PURE NEEM OIL. No preservatives, sulphates or artificial colours.